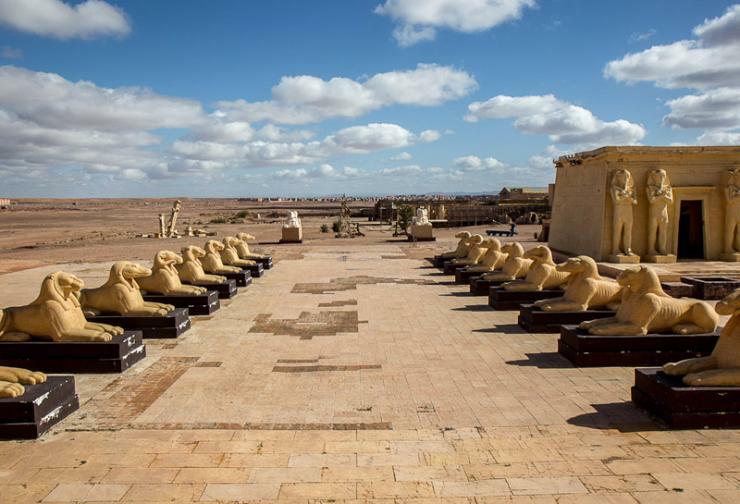 The city of Ouarzazate, was originally a garrison built in 1928, enjoying an exceptional geographical location between High Atlas mountains, valleys and oases. It is a starting point for the Moroccan desert. Today, conscious of its unparalleled beauty and charm, the city has focused its activities on tourism, film production and more recently renewable energies and especially solar energy. 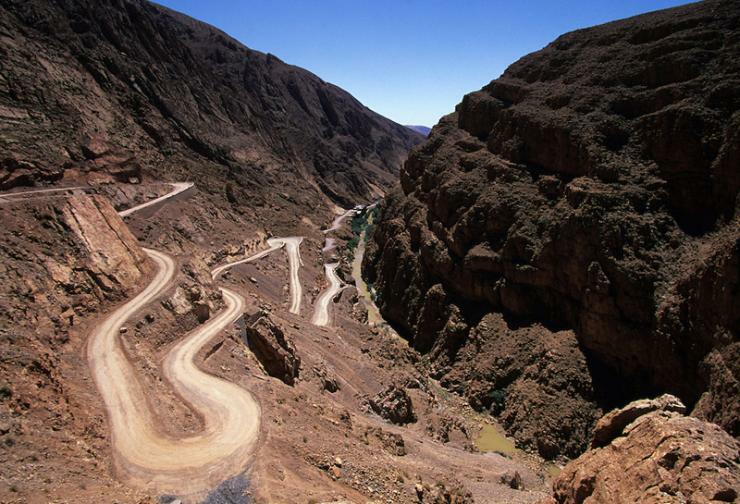 Your journey begins with a 3 hour crossing through the High Atlas Mountains and the Tizi n'Tichka Pass. It will appear to you an hour, so many breathtaking landscapes succeed and differ. The arrival at the village of Tichka, culminating at 2250 m, announces the time of the break. It will be time to enjoy a glass of tea and visit a women's cooperative producing argan oil. 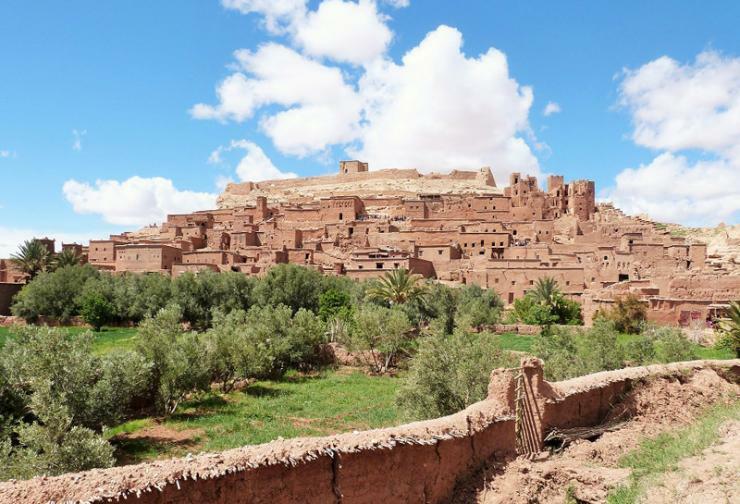 During the descent of Tichka towards the village of Ait Ben Haddou, you will discover the numerous Berber villages built in terracotta, and you will be impressed as the green landscape gradually changes into arid landscapes. 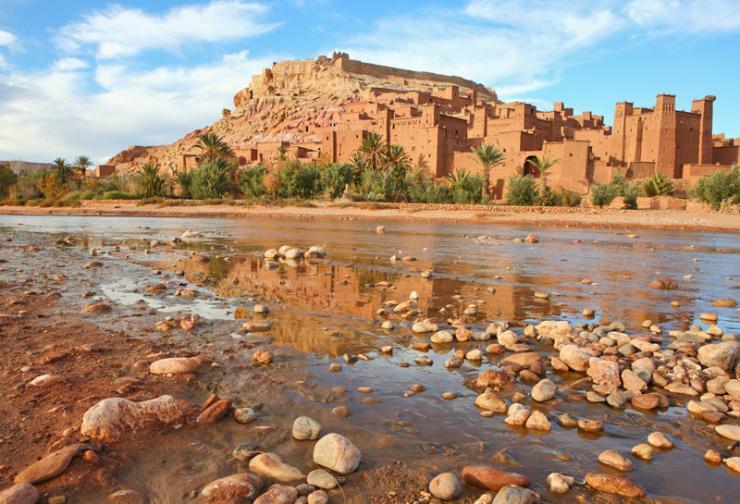 You will arrive at the village of Aït ben haddou, located 30 km from Ouarzazate. Its Kasbah is a UNESCO World Heritage Fortress and it is a historical site that has been used to film many films. If you climb the alleys towards the Kasbah, you will enjoy a beautiful panorama for taking photos. 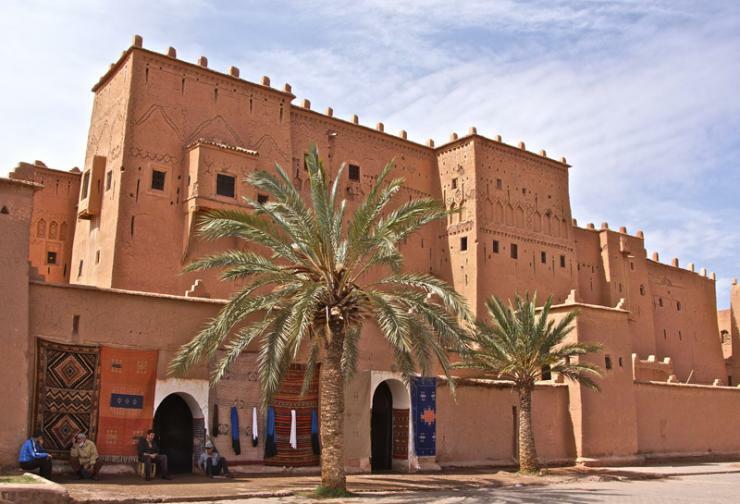 Once in Ouarzazate, you can explore the city, starting with its authentic souk, then visit the famous Taourirt Kasbah, built on a hill overlooking the city and listed as a World Heritage Site by Unesco. You can also go for a walk in the verdant palm grove of Ouarzazate. It stretches from Lake Al Mansour to the outskirts of the studios on the other side of the city. The Cla and Atlas Corporation studios are open to visitors, allowing you to discover some of the decorations that have been used to shoot great movies. Return to Marrakech in the late afternoon. Recommendations: hiking shoes, hat, jacket and sunscreen.